The Marcy cast iron 16kg kettlebell is a great alternative to the traditional dumbbells. At this most universal weight it will work both for men’s initial training and for female athletes. Even when the user progresses to greater weights, a 16kg kettlebell will still remain an important part of a safe and varied workout session. Kettlebells can be used to effectively exercise the chest, arms, shoulders, abdominal muscles and legs. Apart from building strength, they help improve fitness and cardio in a fantastically simple way. This high-quality cast iron kettlebell features polished, smooth surface and a thick handle which enables easy and strong grip. 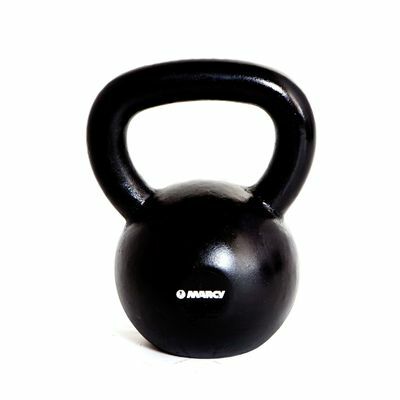 for submitting product review about Marcy Cast Iron 16kg Kettlebell.